At Red Hook, Rob Morris of the Dukes fired a 2-over 38 on the front nine to earn medalist honors. Teammate Dom Porpiglia added a 43. 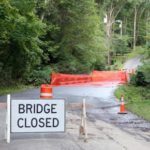 Despite widespread flooding and many inches of rain, the Red Hook roads and bridges fared well in comparison to neighboring towns according to Highway Superintendent Theresa Burke. Milan and Rhinebeck are facing roads and bridges with much more damage. A meeting about the Tropical Storm Irene recovery effort in this Northern Dutchess village will be held Sept. 8, the mayor said Wednesday.